The Myzone heart rate belt is the most relevant and versatile fitness tracker on the market. Using Bluetooth, ANT+ and Analog technology to provide real-time feedback on heart rate, calories, and effort, the belt ensures that you get accurate feedback on all of your exercise, wherever and however you choose to train. The Myzone belt’s in built memory means you can make every session count, even when you’re training away from your gym and smartphone. 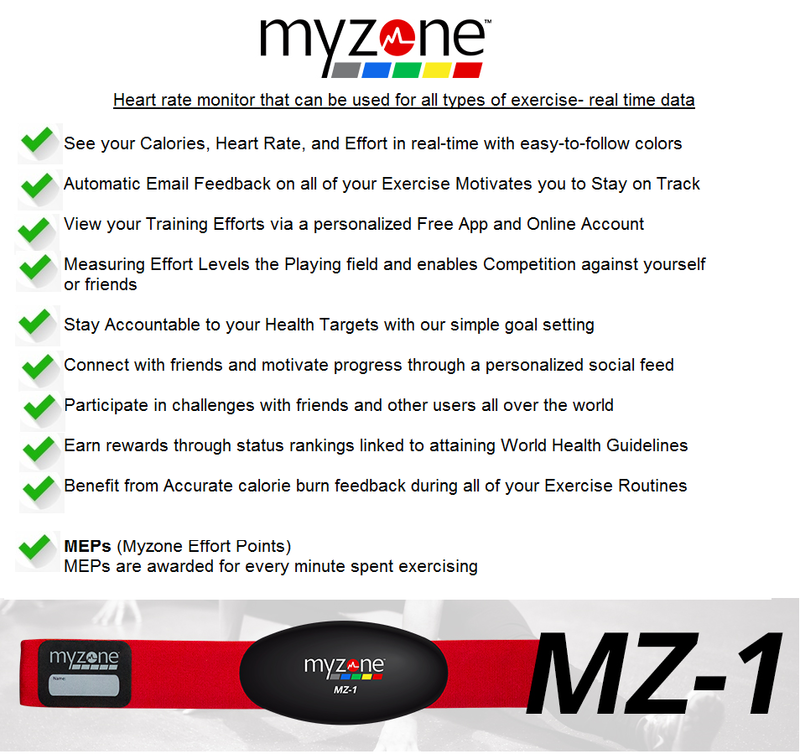 Achieve your health and fitness goals, with motivational support from friends through our Myzone social network, and utilize our unique Myzone Effort Points (MEPs) system to earn the credit you deserve & reward your effort. Currently all our classes are Myzone enabled – this means you and your instructor see a live feed of your work rate – calories burned and heart rate . Bring your fitness to the next level . Talk to Vanessa today for more info and to order your own Myzone Belt . Belts are on special offer for Castle Leisure Club members !